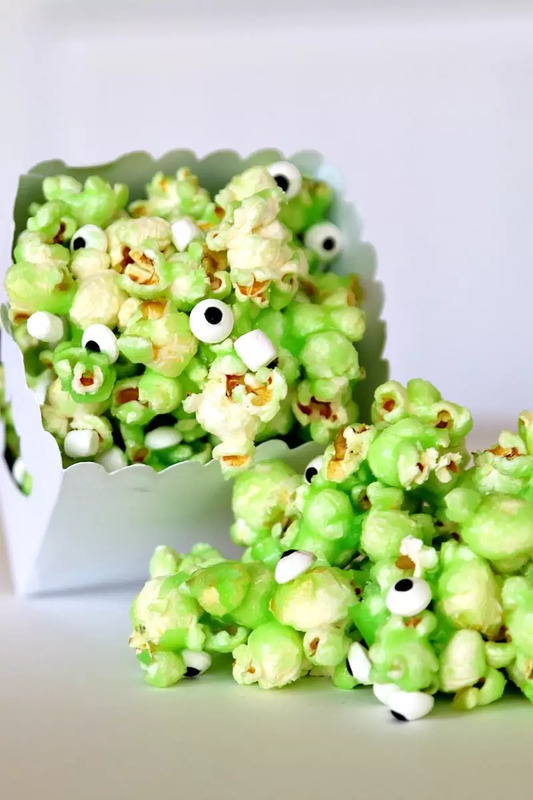 Last week, as I mentioned in my Monster Slime Popcorn Recipe, a friend and I popped up some brand new popcorn recipes for MomDot. I have always been interested in popcorn ideas because my youngest son, Phoenyx, goes on popcorn kicks quite a bit as his snack of choice. And while he can eat it plain, this mama likes a little kick every now and again. We have an air popper so it only has about 31 Calories per cup (if you don’t put all this other stuff I am about to show you on it) or 55 calories per cup if you are making with oil. I don’t mention that cause I personally care, but to let others know that its not a terrible snack to…well…snack on! 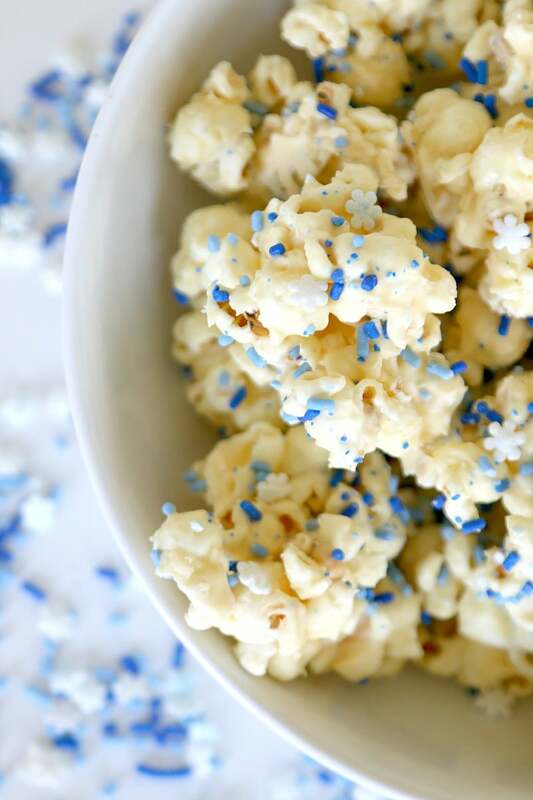 This Frozen Inspired Popcorn was invented Lynsey when she magically threw together these few ingredients and solicited the “mmmmmmmmmms”. Melt chocolate in microwave- do not OVERMELT or it burns. The best way to not burn it is to follow the bagged instructions. Trust me on this one. Then we added 1 tablespoon of vegi oil to thin the chocolate out a bit. Pour over 4 cups of popcorn and mix. We initially mixed with a spatula but it gets pretty sticky pretty fast, so to make sure we coated it all, once it cooled a bit, we used hands! Yum…chocolate hands! Lay parchment paper on a cookie sheet and spread out in one layer. Sprinkle your sprinkles on top- you can be as generous as you like! Then put your popcorn in freezer for approx 5 minutes to quickly cool down popcorn and harden chocolate. Serve! Having a FROZEN THEMED PARTY and looking for other great FROZEN themed ideas? Tons of great bloggers have some fabulous ideas out there, but here are a few of my personal favorites. 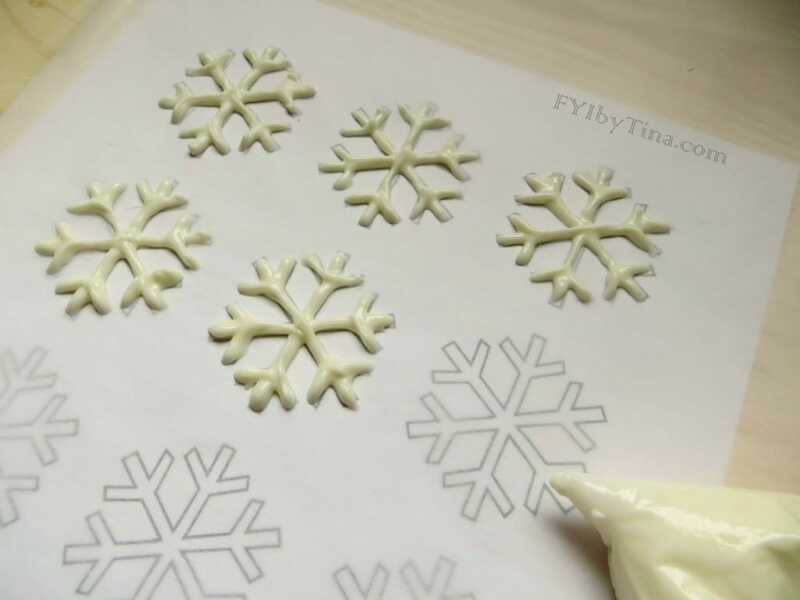 Snowflake Cupcakes: We used this same technique for our Mickey Mouse chocolates here and I love how the cupcakes look with this unique snowflake decoration idea. Plus FREE snowflake template! Frozen Snow Krispie Treats : Cant really go wrong with anything that has a rice krispie in it and these would be adorable for a party! DIY Frozen Castle Bingo – What a fun way to bring out more of a toy! We all know that kids love and then forget about thier toys, this is a fun scavenger hunt to breath new life into a toy. Has a printable! Free Frozen Trivia: Wanna test your knowledge? 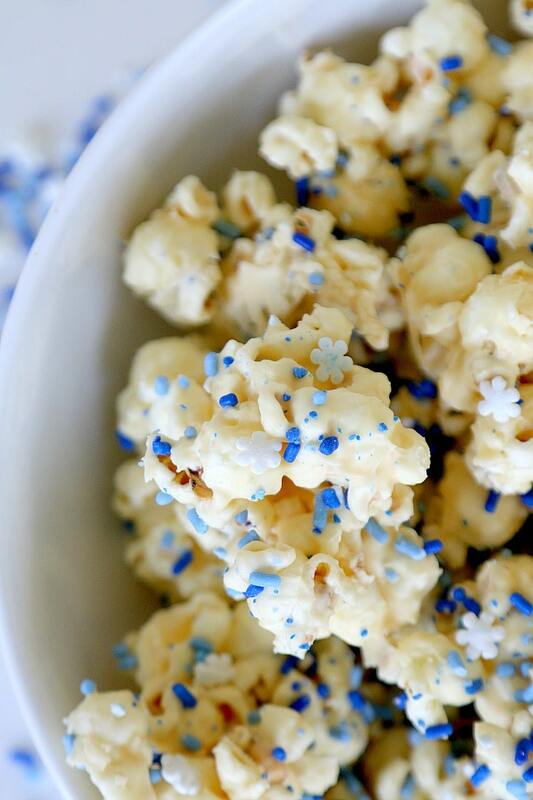 Popcorn is one of our favorite things to make, so stay tuned where we reveal 4 more popcorn recipes before the end of the month! Plus, do not forget to pin by clicking below!